The media has been teasing us about the business of celebrating women in rock. Rolling Stone honors women in rock and you get spreads of artists like Brittany Spears and Madonna. And when it comes to black women in rock….Well, if you’re in the loop enough to be reading this blog, you know the deal. Well, I don’t want to complain. I want to change things. This multi-media project is my solution. So for those of you who were wondering if this is just another tease, I want to clarify what Nice & Rough is about. 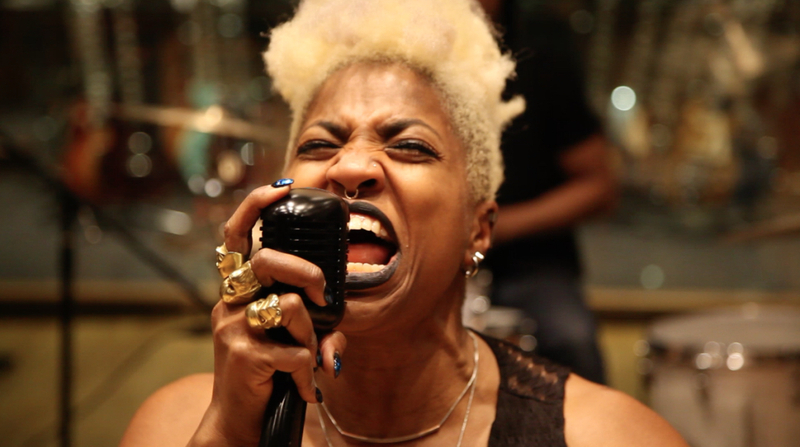 It’s about the journey of black women who perform rock music. And the “Rock” in Black Women in Rock is not a statement of how awesome they are. It refers to the soul-jarring, electric-guitar-rifting, rock genre of music. Black women have a history and a present in rock music, and my goal is to share it and celebrate it. You have to mention Devon Wilson in the film.